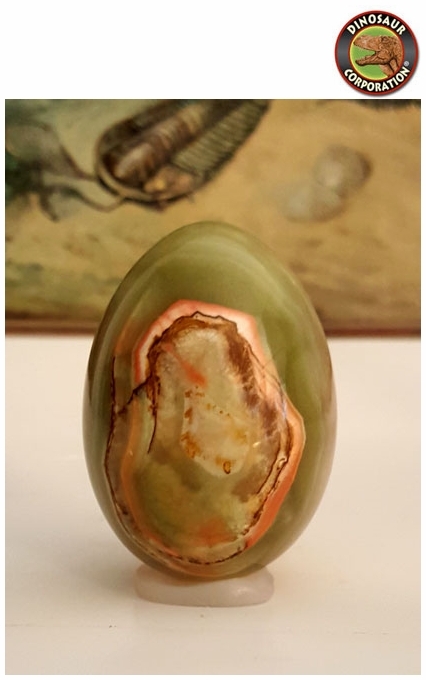 Home | GEMS | Onyx Egg, 2.5"
Onyx egg is polished with rings of brown, white, and green colors. Onyx egg assists in the development of physical strength. * Onyx opens and balances the Root, Solar Plexus and Third Eye Chakras.